Mr. Bayer was born in Sudbury and raised on the M’Chigeeng First Nation on Manitoulin Island. He continues to be an active member of the Sudbury and Manitoulin communities. 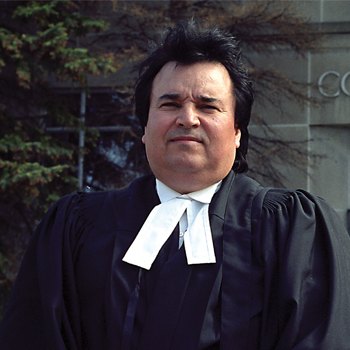 His practice is in the areas of Aboriginal Law, Natural Resources, General Litigation, Commercial Law and Alternative Dispute Resolution. Aboriginal Law, Natural Resources, Mining Law, Corporate and Commercial Law.